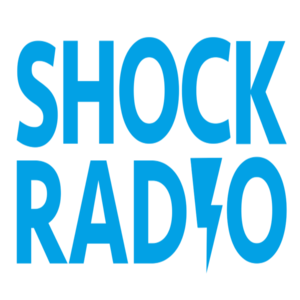 Shock Radio is the University of Salford's Student's Union's very own radio station, broadcasting each semester to over 20,000 students across Salford. Whether you've been involved in radio before, or you're just starting out, we've got on-air and off-air opportunities to suit everyone, including; producing, technical operations, as well as a variety of roles within the news and music teams. Whilst most of our members are media students, you don't have to study radio to get involved in Shock and our past members have consisted of everything from Maths to Drama students and even Nursing. We're based at our state of the art studios in University House, right next to Atmosphere Bar and Cafe. At Shock, we rearrange the schedule and reopen applications for new shows each semester to allow as many people as possible to get involved with Shock. We're not just a Radio station, we are one of the biggest societies as well with plenty of events and socials throughout the year, including; the Student Radio Association Awards and Conference, as well as Rec Nights, and our very own Shock Radio Awards at the end of the year. Remember, you don't have to pay membership before you attend, and your first session is ALWAYS free! Full Membership £28.00 Access to all events, workshops, and seminars. *Staff and alumni do not hold the same rights as regular members of the Society. For more details on this please contact the Society committee or the Student Opportunities department.